“As I boarded the plane at Gatwick with my family, I could hardly believe that that at long last I was on my way to visit my father Claude’s birthplace, Antigua, in the Leeward islands. Dad had set sail from its shores in 1910, travelled the world and ended up in France. 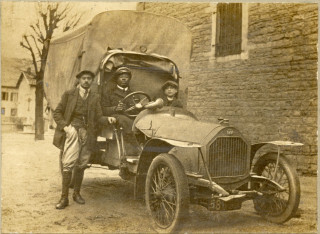 In 1917 he was driving for the French ambulance, and in 1917, being a British subject, he transferred to the British Ambulance Brigade, where he met my mum Edith, and brought up their family of four sons and a daughter. 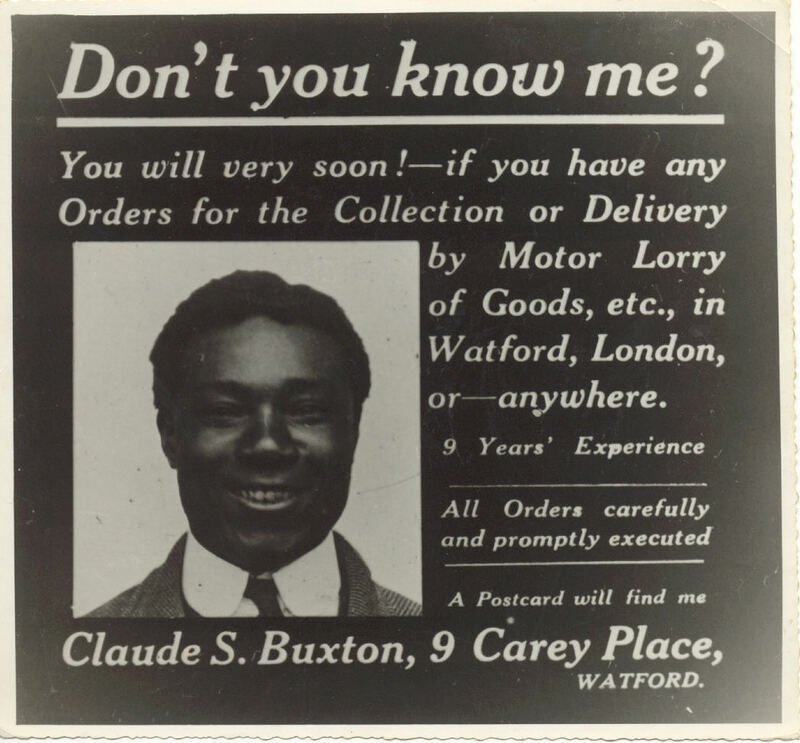 In 1921 my father [Claude] left Andre Sleigh and started on his own as a haulier. Andre Sleigh was a printing firm. My father could only have worked for them for about three years. 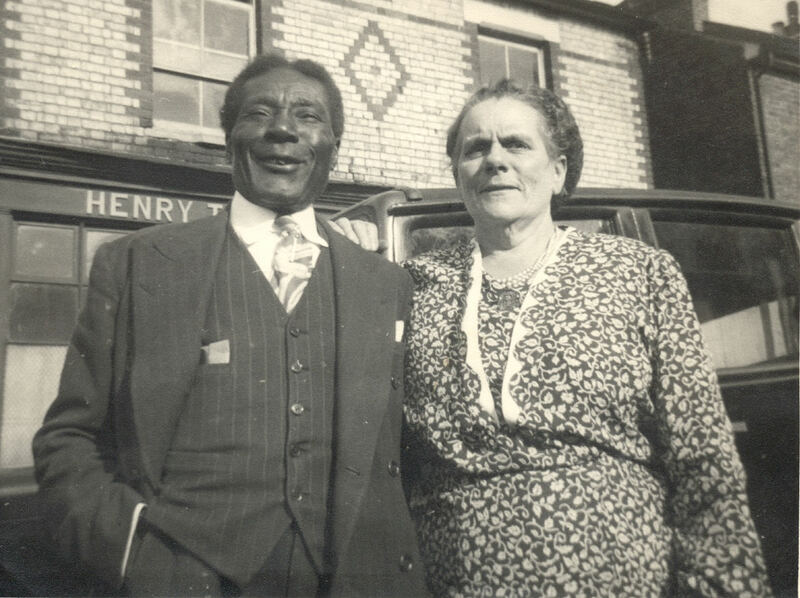 Dad never had an opportunity to return to Antigua during his lifetime, but when he passed away in 1958, mum arranged for his ashes to be flown home and interred in his mother’s grave. Throughout my life I had always believed that I had three brothers, Joe, Laurie and Alex, and my lovely sister, Doris. Sadly, we lost Doris to multiple sclerosis and Joe and Laurie also died, leaving just myself and Alex, who I am sorry to say is in a nursing home with dementia. However, I discovered that we had a half-sister, Vera, who has been reunited with us at the age of 84. 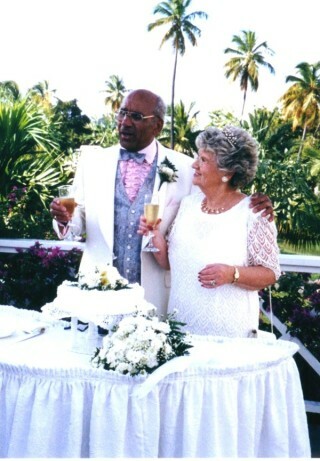 Together with some of her family, she accompanied my wife, Pauline, daughter Lynn and me on this momentous trip. A wave of emotion swept over me as I spotted Antigua below as the plane circled over the Caribbean sea in preparation for the landing approach and, as the wheels touched down on the runway, I have to admit to a few tears. After 76 years I had finally made it! My father was also a good fried of Alex.His name was Ron Lacastra. Do you know him at all? Can you tell me if Allan is still alive? I was proud to meet Laurie and Alex a few times in my life, and l have to say they were two of the most well mannered gentlemen you would wish to meet, but you wouldn’t want a right hander from them. l saw them fight a few times, but the best story l heard about the brothers was when one of them was working at the Dome filling station one night and somebody tried to rob the till; having pulled out a knife to threaten Laurie or Alex a hay maker of a right hand landed right on his jaw and the would be robber lay on the floor out for the count another victory. I would like to wish any of the remaining Buxton family all the best for 2012. My Father Julian Kenelm Hicks was a good friend of Alex Buxton. 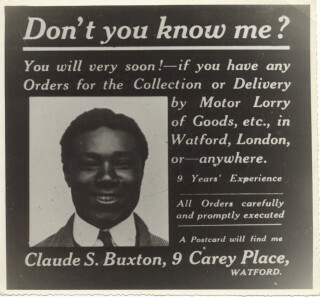 He lived in Vale Road Bushey and Coldharbour Lane Bushey where Alex would visit. How they came to be friends is not known. My father was boxer in the army and this may have been why they were mates. It is my parents 60th wedding anniversary on the 24th of this month and I have been making a book of memories for them. Today it was confirmed by dad has beginnings of dementia and we were talking about his youth and there he was regaling me with all the details of of the Buxton brothers. He used to spar with the brothers. Doris Barnes (nee Buxton) was a good friend of my mother’s and I spent some of my childhood days at her house in Valley Rise playing with Juanita, Derek and Ionne. My Dad asked to find out if Allan was still with us as he would love to talk with him and then I find this editorial…. My parents are George and Kathleen Rodney. Dad was in the sea cadets with Allan and lived in Judge Street. It would make his day if we could put him in touch with Allan.